Yes, Mercury is retrograde just as most people in the northern hemisphere’s are departing for a summer vacation. 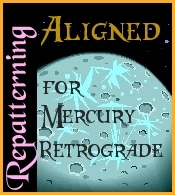 Aficionado’s will know that Mercury retrograde loves to mess with travels plans. It’s a time when you can expect delays, lose your ticket, and get hassled at border crossing. The location of the party you were invited to is not exactly showing up in your GPS or it is taking you in an unending loop. You can get lost or at least feel lost. How do you react when travel does not go according to plan? Do you manage the unexpected glitches with inner calm or panic? Do you look for the new opportunity or become a victim? It can be a challenge because we are out of our comfort zone of home and being delayed or lost can trigger feelings of uncertainty that morphs into anxiety. Not exactly a great vacation state of mind. Mercury retrograde invites you to double check all travel plans, update your car GPS, or get a map, and have some back up plans. Make sure your passport is up-to-date, your insurance and drivers license is where its suppose to be, check all the little pockets in your luggage before putting it away, and make sure everyone you are travelling with is familiar with the plan (or find out for yourself) . When the unexpected occurs, try to remain positive and look for the silver lining. Maybe, the universe sent you down the wrong road to avoid an accident. Under these circumstances, I like to play the synchronicity game to make the best of Mercury retrograde energy. Either I will reflect on the question “What is the message the universe is trying to send me?” or I will pose a question – any question (i.e. “What is my next best career move?”) . I then look to the subsequent ensuing events as answers to my questions. Either way it is an opportunity for inner reflection. When travel goes offtrack – at least I am sure I am on the road less traveled. This entry was posted in General Comments and tagged astrology, Carolyn Winter, Julie Simmons, Mercury Retrograde, resonance repatterning, road less traveled, travel issues, travel snags. Bookmark the permalink.